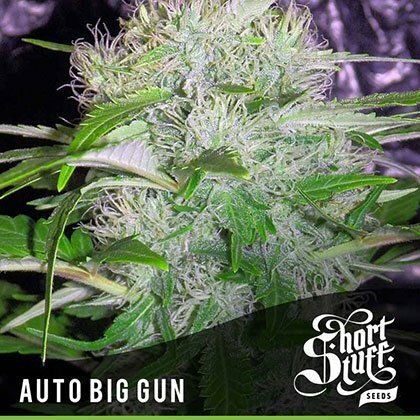 Buy shortstuff auto big gun seeds from dope-seeds.com now! Big gun starts fast and then accelerates with rapid growth right from the get-go. She does not get too big, maxing out at around 50-75cm (20-30) but she makes solid first and secondary colas which can get as thick as a coke can. Auto Big Gun is part of our Boutique Line of cutting edge Autoflowering cannabis genetics. The Boutique Line contains the most up to date autoflowering genetics which are pushing the boundaries of what can be done with autos. All the strains in the Boutique Line are big, tall, heavy -yielders and have been produced in-house by Shortstuffs master breeders.